Throughout recorded history the human animal has had a desire to honor those who have died to defend us. It is only natural to want to thank those who would make such a sacrifice. For many in our country today it is seen as a necessary way of showing that we respect our military, that we are good citizens, or, and this one drives me to distraction, that we are a good Republican or Democrat. For you see, unless you are willing to acknowledge the sacrifices of our military personnel then you are not a "good America." So, the question becomes, "How best to honor those who have sacrificed their lives and how best to assure that others won't have to?" First, a little background on Memorial Day. Where did it start? What were it's origins here in the United States? The idea of honoring one's war dead is not new. It can be dated back as far as the ancient Greeks and their warring states. Here in the U.S. the advent of what we now call Memorial Day (Originally called Decoration Day) gets a bit murky. More than a couple of states lay claim to its origin. During the War of Northern Aggression many women in the South would pick a day to place flowers or flags on the graves of Confederate soldiers. 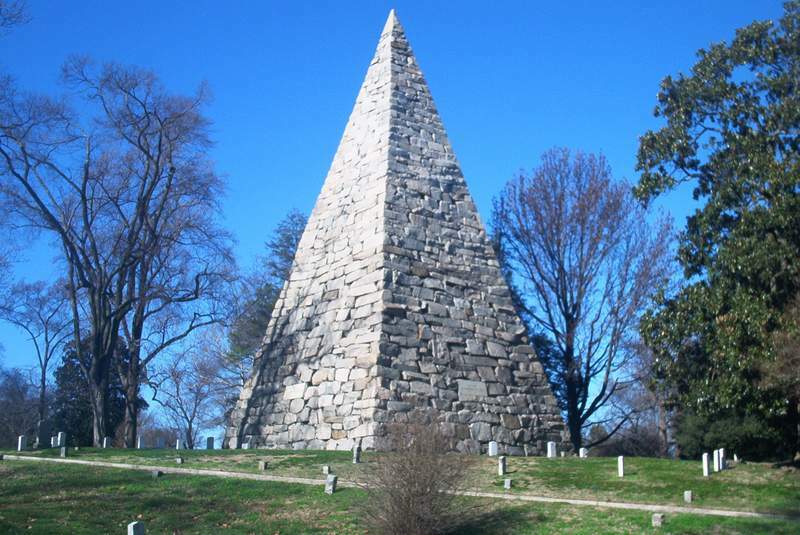 This was true in Richmond, at Hollywood Cemetery, and also in Petersburg. In the North, Boalsburg, PA makes a claim, while president Lyndon B. Johnson, in 1966, would declare that Waterloo, NY was the place of origin. 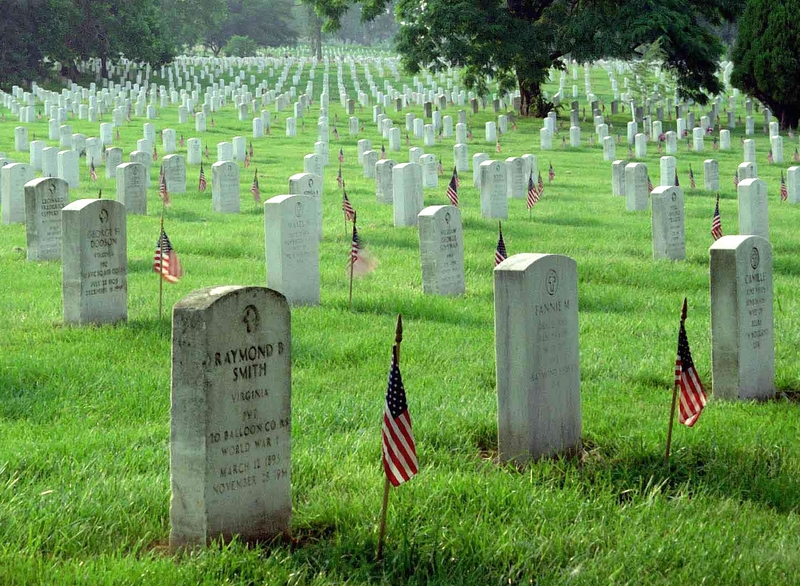 Perhaps it is more likely that the numerous and varied commemorations around the country were simply coalesced into the one standard, national holiday we now call Memorial Day. In the past I have marked the date with my attendance at the ceremonies held at Hollywood Cemetery and most recently at Pelham's Chapel (Both in Richmond, VA). Lest we allow ourselves to forget, Southern men, who fought for the Confederacy, were Americans, too. But the truly sad nature of this day is that many of those whom we seek to honor, need not have died under arms. As I write this we have servicemen and women serving abroad and in harms way. They are following the orders of their civilian government, as good soldiers do. But for all of our claims of respect and admiration for our military personnel, do we really mean it? Do we really respect the lives that they voluntarily offer up on the alter of freedom? I believe that I do. And I am sure that many of you do as well. But what is the best way to show that respect? Is it to place a flower or a small flag on a grave site? Is it the singing of songs in church or at a ceremony? Is it taking part in a parade down main street? It certainly is not taking advantage of the blockbuster sale at the local car dealership! For me it is simply to stop using our military as pawns in global war games. Stop needlessly sacrificing the lives of our military personnel in unnecessary wars around the globe. Yes, I said unnecessary, because many of them could have been and should have been avoided. I have enough respect for our military to not use them as cannon-fodder. I would like to see them at home rather than thousands of miles away, for multiple deployments, under rules of engagement that only serve to make them easier targets, in a "war" that is ill-defined, with an exit strategy that seems to be nonexistent, and against a method of war ("terrorism") rather than a plainly defined and easily verifiable enemy. Fighting a war against terrorism is akin to fighting a war against ideas - How does one win that kind of war using bullets and bombs? That is a political discussion for another time and place. The bottom line is that far too many Americans have made the ultimate sacrifice in their efforts to "protect our nation." That kind of sacrifice should be, must be commemorated and honored as a sign of respect. Such commemorations also serve to remind us of those who are still in harms way and those who may soon find themselves there. In reminding ourselves of the potential for further sacrifices we must take the time to determine under what conditions and for what reasons our military personnel are potentially offering up their lives. In thinking this through we must not allow ourselves to be swayed by phony patriotism and the lies of our political class. You and I are patriots in our desire to see America become the great shining city on a hill that our Founders envisioned. We respect, admire, and adhere to the Constitution and the freedoms that it protects. We must continue to insist that those who represent us in Washington, D.C. do the same. And a big part of that is our insistence that they stop abusing our military personnel by needlessly offering them up as sacrificial lambs on the alter of global politics. I respect our military. I have much respect for anyone who would leave their homes and families, don their nations uniform, endure the training, and ultimately risk their very lives for me and our country. I respect them enough to not want to see them needlessly killed for a war that need not be fought, so that a particular class may profit. I respect them enough to want to see them home, in the United States, with their families, and not thousands of miles away for their fifth deployment in the last ten years. Let us all resolve to show our respect for them by continuing to insist that they be brought home sooner rather than later. This is my hope, my desire. So, to all of those who have made the ultimate sacrifice for our country, I honor that sacrifice. To all of those still in harms way, my sincere and heartfelt wish is that you will soon be safely home and among your loved ones. Happy Memorial Day!